One Stop Auto: When is a good time to check your wheel alignment? 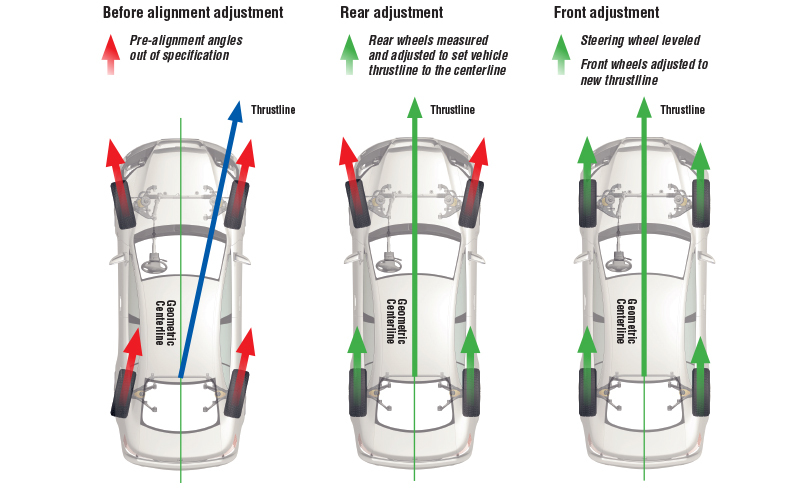 When is a good time to check your wheel alignment? Poor alignment can shorten a tire's life by thousands of miles and compromise very crucial steering and suspension parts. That can be a big hit on your wallet. 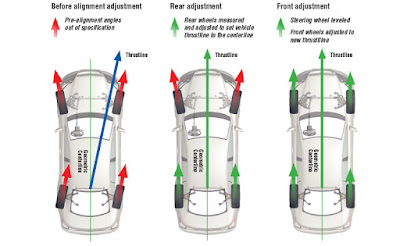 When should you have your wheel alignment checked? If your vehicle has hit something (ie curb or major road hazard). You notice your tires are wearing unevenly or abnormally. You notice steering or handling problems such as your vehicle pulling or drifting to one side, your steering wheel does not return easily after a turn, or your steering wheel remains at angle when driving in a straight line. When you buy new tires and want them to last as long as possible. If you are unsure about your current Wheel Alignment, please give us a call at One Stop. We have precision equipment and expertise to check your Wheel Alignment and fix, if needed.